Is donor acquisition worth it? With giving totals rising, many institutions are wondering if they should continue the difficult and costly work to acquire new doors. We’ve said before that this is a dangerous proposition, a perilous “head fake” that could end up destroying your future donor pipeline. While donor acquisition is costly, does the return on boosting donor participation outweigh the cost? 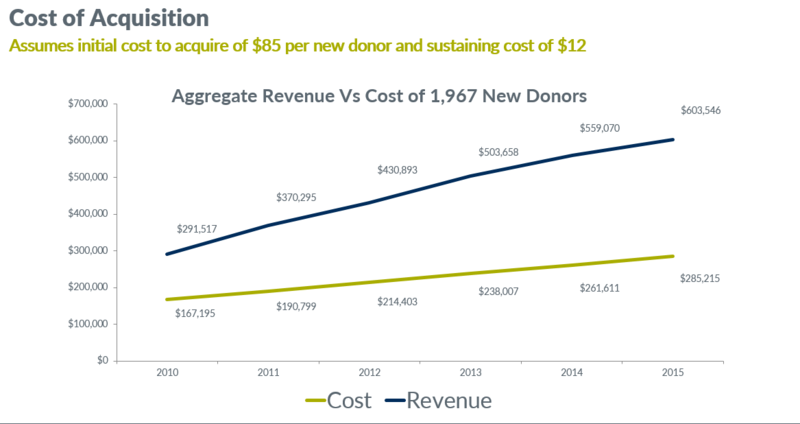 What are the average total giving values for new donors over the long term? Is it really worth finding brand new donors in an age of mega-gifts? To answer the question, we looked at the full donation data for all giving methods from 16 higher education institutions that participated in our RNL 360 benchmarking program. There were 10 public and 6 private institutions with a mix of donor totals, retention, and acquisition results. We focused all donors that these institutions had acquired as new givers, 20 years ago in 1995. We restricted the study to donors who made a first gift of less than $10,000, where most annual giving programs cut off. The average first gift for these 35,079 donors in 1995 was $98. The 1995 total from these donors was more than $3.4 million. A new donor in 1995 gave an average of $1,829 over the 20-year period. 226 of these donors had made a gift of $10,000 or more within 20 years. There were 3 gifts of over $1 million. We expected this would be a relatively small percentage, but since we know that more than three quarters of major gift donors give annually before making a major gift, there is strong evidence that without that initial gift, these organizations would never see those big gifts. Because we are matching only by ID number and hard credit gift, this likely undershoots the real 20-year total, because some donors may have had a gift credited through a spouse, donor-advised fund, or family foundation. These organizations would have a fraction of this $64 million if they hadn’t made the investment to get these donors to start giving 20 years ago. While acquiring new donors is expensive, the value of new fundraising donors and the long-term benefits far outweigh the initial cost. Because it will be much less expensive to retain donors after they have started, the long view is important. Return on investment for acquisition increases if you immediately retain donors for a second year. With national new donor retention rates around 25%, working toward 40% or greater new donor retention or greater makes a big difference. Outside of loyal donors, we also see enough intermittent donors who start giving. While they don’t instantly renew, they come back for enough to make your work in initiating them as a first-time giver pay off. We call these donors MYBUNTs (multiple years, but not this year), and if you can get them giving more consistently, they might very well be your biggest opportunity to grow your results. What we see here is that the initial investment really pays off over time. Total contributions from these initial donors break away from costs to acquire and retain quickly within five years. And this isn’t a program with particularly high donor retention. Partner your donor acquisition program with high quality stewardship, as well personal attention tied to an upgrade and major gift pipeline strategy. Your ROI for acquisition will go through the roof. You definitely want to question what you are spending to acquire donors. You’ll want the most effective and cost-effective solicitations you can craft. But when you consider the multi-year giving potential of these donors, acquisition ROI is generally very strong. Especially when you consider what these donors could be doing 30 and 40 years down the line for your organization when it is time to make their ultimate gift. Donors have to start somewhere. It’s our job to help make it happen. How much are new donors worth to your institution? Ask for a customized model. Contact us and we’ll provide you with the long-term value of a new donor to your institution, customized and based on your statistics. 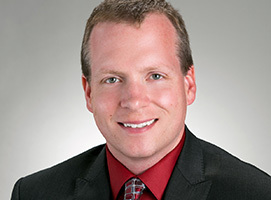 Expert RNL researcher Sean Shaikun conducted the data analysis for this study.